Usually, the Easter weekend is when we do some kind of DIY project at home, but we're a little late this year (hubs thought he'd got away with it!) and a mini makeover I want to complete in the next couple of weeks involves our dining room and turning it into a space we can get more use out of. I've always liked our dining room; it has a fireplace (not usable) and two alcoves plus a big window looking onto the back garden. Over the years, we have made changes to it. At first, we had a huge wooden dining table, that could comfortably seat six, in the middle, but we didn't use it enough. We pushed it to one side for a while, but then it just became a dumping spot. In the past five years, we've added a dresser and a bureau to the alcoves and a large desk from Ikea to the other side of the room, with a folding dining table by the window for occasional use. We have a lot in our dining room and it is a really nice spot, but day to day, we do just tend to walk through it to get to the kitchen, and leave bags and things in there, rather than actually sitting in and using the room. With baby on the way, I think making more use of the dining room will help us not to feel on top of each other. It'll be like a second living room of sorts, and it'll be good to enjoy it properly. All home accessories pictured are from George at Asda and would help to dress the fireplace and chair. 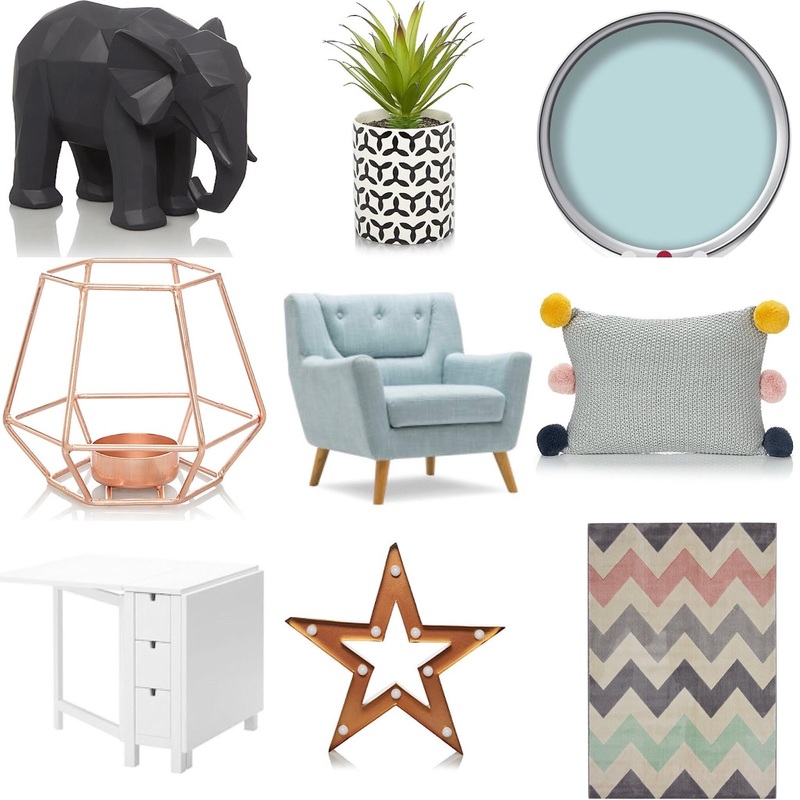 I love the chevron rug, from Argos, and think it'll make the room feel welcoming. Dining table is Ikea and so clever and making the best use of space, with built in storage too. This is the armchair I really like, cheapest place I've found it is Sofa World who say they can deliver next day too. I'm excited to get started and to be fair, it's not a big project - painting the bureau will take the most time but is something I can do over a couple of days next week. 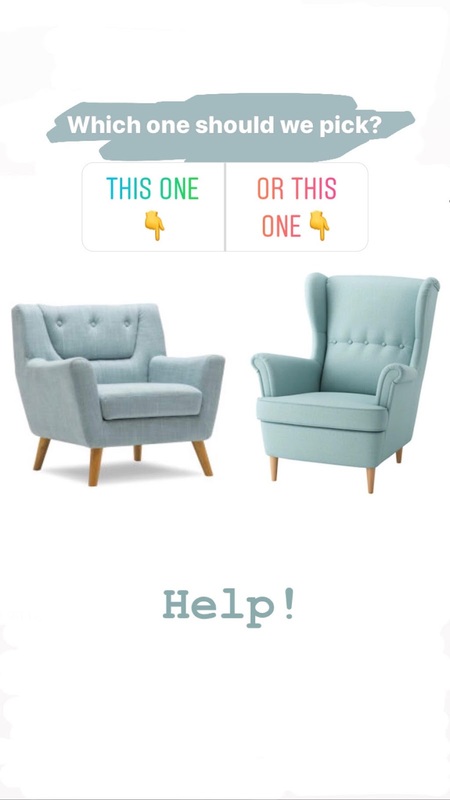 I've got two days to decide which armchair to go for, and have it narrowed down to two options... what do you think? Be sure to follow me on Instagram for updates as we get cracking with this project next week.